Intentional Networking Happy Hour with Maria Jeancola - May 15, 2019 - OBP : CHAMBER : Positively Oberlin! Website: Check out our other events! Intentional Networking. As a serial networker, Maria has spent many years building connections and growing business. After years of being frustrated with traditional networking practices that robbed her of time with her family, she decided to change the game. Attendees will learn the ins and outs of effective networking and how to make the most out of each new introduction. 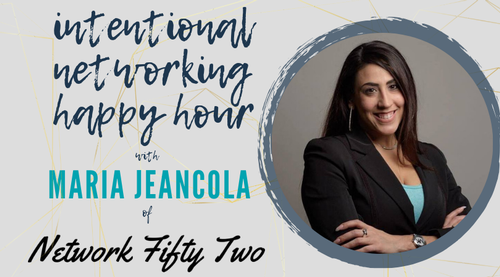 During this interactive networking happy hour, you will find out what exactly "intentional networking" means, how to network effectively and efficiently, and how to recognize quality leads in unsuspected places!